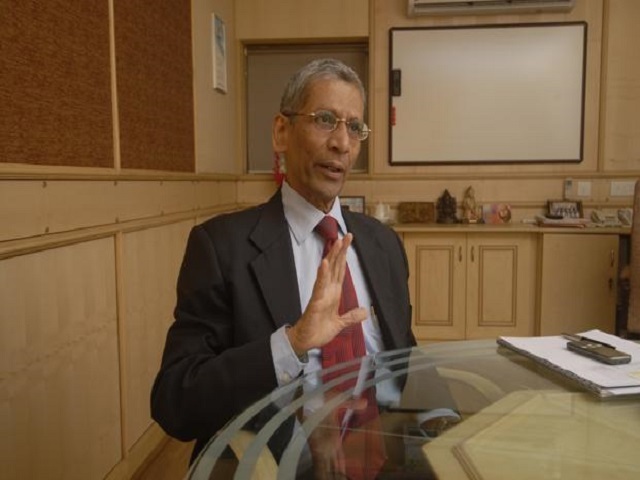 Y M Deosthalee, former CMD of L&T Finance Holdings Ltd, indicated on September 12 that over a dozen top executives of Indian firms are planning to create a fund that will lend exclusively to the small and medium enterprises (SMEs) in the country. “It is often difficult for SMEs to get funds from banks or raise money from the bond market. We need a platform which can give assured and sustained finance to the SMEs. A platform similar to the one in the US, which accounts for 80 per cent of the loans to SMEs. In India we need a similar platform and so we are talking to the regulators,” said Deosthalee, who was speaking at a two-day conference, Badalta Maharashtra, organised by Loksatta in Mumbai. Deosthalee said that the Indian fund for lending to SMEs will be ready in the next five to six months. The move by Indian executives to create a fund for SME lending will help entrepreneurs raise money from an alternate source and reduce their dependence on banks which are already burdened with huge non-performing assets (NPAs). Gross NPAs have crossed 9.6 per cent as of March 2017, while the stressed loans ratio is over 12 per cent. As much as 86.5 per cent of gross NPAs are accounted by large borrowers. Deosthalee also said that the SMEs are a very important part of the economy and these enterprises should look at inducting investors as partners by issuing shares for money raised through them to ensure long-term financing. Around 1.3 million SMEs contribute 45 per cent to India’s manufacturing output and 40 per cent of India’s total export. SMEs employ around 40 per cent of India’s workforce, which is an estimated 80 million.